We went for a walk in Rutland today. 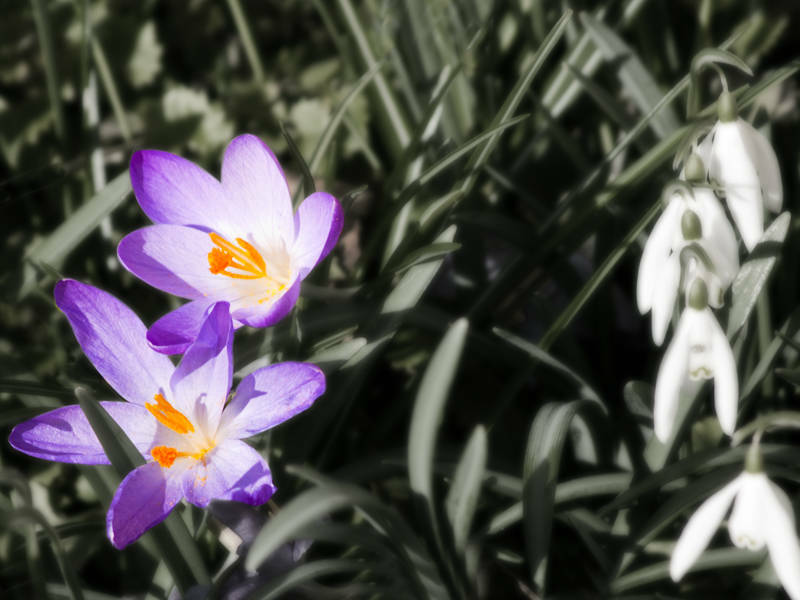 Karen spotted these Crocuses outside a cottage. I have used Orton Effect and Desaturation layers in an attempt to make the flowers stand out of the busy background. I like the snowdrops in attendance. The clarity of the crocuses is excellent. Très belle composition et un traitement toujours autant superbe !